Some photos are just too fun not too share. Don’t you think? How exciting is it when you lose your first tooth? So much so you want to show the world!! Especially exciting too loose your teeth, when you have heard about the tooth fairy that comes to visit you when your asleep, takes your old teeth and leaves you some money. All my children love the thoughts of getting some money to spend on goodies. 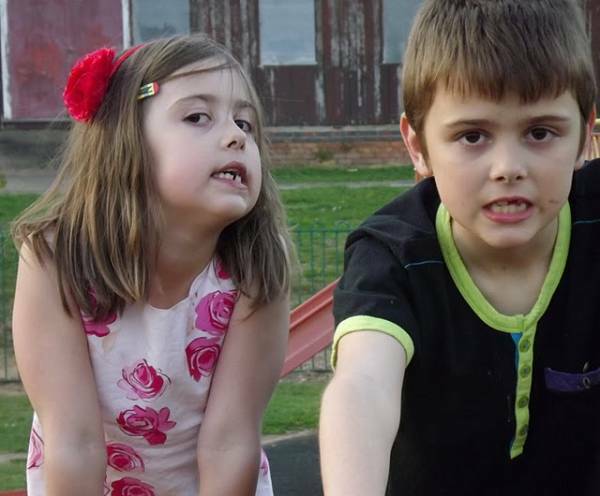 My youngest two are both at a time in their lives when their teeth are falling out left right and centre. My kids love it when there teeth fall out and the tooth fairy pays a visit!! How cool that if you pop an old tooth on your window and some one pay you to take it. I wish someone would do this to my old shoes and clothes!? Now for placing it somewhere light tonight so the tooth fairy can see it. I am now wondering how much the tooth fairy will leaves these days!? Have you children lost any teeth lately? Or are they too old or too young yet? Does the tooth fairy come and take your children’s old teeth? Where do you pop your old teeth so the tooth fairy can see them? I know there will come a time when you don’t want the tooth fairy to pay a visit anymore. No I do not want to loss any of my teeth for no amount of money!! Hehe..
Good times and precious memories. One to show them when they are older. "Silent Sunday : Watching you Watching Me.."
cool photo. How much id she leave? The first time will always be a big deal to them. It doesn't matter how much money the tooth fairy places under their pillow. Also, how much did she leave for them?